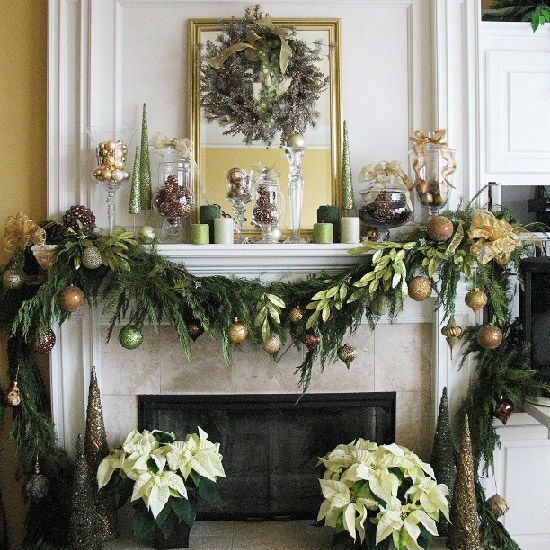 A mantle can be the centerpiece of your holiday decorations and a chance to showcase traditional holiday decorations, or customize it to show off your own personal style. Sometimes, a subtle touch is better than something that stands out. Consider using a combination of muted colors and minimalist elements to make the seasonal decorations blend in with their normal counterparts. This saves you the trouble of having to remove your normal decorations, making the transformation both easier and less time-consuming. Rustic elements are a time-tested method with which to decorate your mantel for the holidays. However, if you want a touch of sophistication, consider using glass and a little metallic trim. Boldly colored candles can make a powerful statement if you are interested in something more artistic. For safety purposes you may want to use electronic candles. 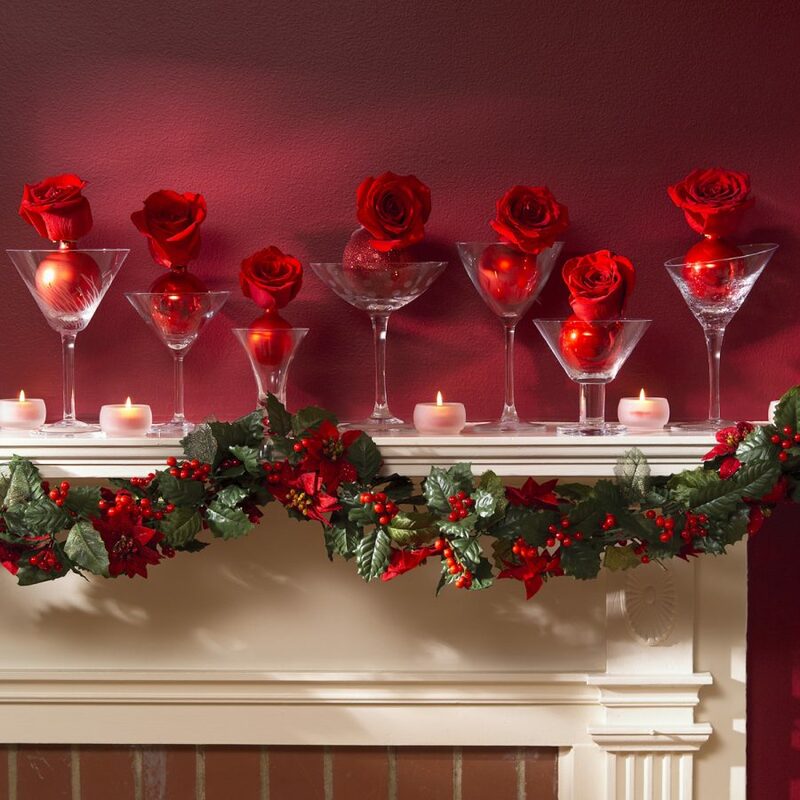 Think out of the box and repurpose items around the house (such as the martini glasses below or simple ornaments in similar shades of color) to be the centerpieces of your mantle. Festive boughs and wreathes are always popular. Happy holidays to you and yours from Trilogy Partners!